Jackie Stewart flying a his vintage race car - Inspiration for my Pencil Racer concept. The Howitzer Design Maserati Pencil Racer Concept with the Race Pack fitted. The Pencil Racer is designed with a low centre of gravity in mind. The Maserati Badge on display on the front mesh grille. A hint to the aggressive nature of the car. A Suzuki GSXR 1000 engine turnes the wheels, via a 6 speed constant mesh (sequential) gearbox similar to that of the motorcyle. A short shift gear lever mounted on the left of the the steering wheel keeps things uncomplicated. The Pencil Racer is designed to be a road going car during the week and a racer when the weekend arrives. Driving lights are essential as well as super tacky, ultra-wide, low profile semi-slick tyres on deep dish rims. A full Carbon Fibre/Kevlar woven shell hides a chromoly tubular frame that keeps everything stiff and as light as possible. Massive Wilwood Discs all round should bring the world to a halt rapidly when needed. Full titanium race tuned Termignoni system with carbon flexi clamp sytem. The suspension runs on adjustable Fox titanium coil assisted air shocks on a suspension design that sits somewhere between that of a Dakar Truck, a Racing Quad and an HTTV. Raw Carbon fibre/Kevlar weave, two pin racing stripe details and a clear coat shows off the shape of the racer. The Race Pack comprises of a splitter and wing that can easily be bolted on or removed for track days. Pencil Racer Concept with HowitzerRacing race decals. The Maserati Pencil Racer Concept in full race guise; wing, splitter and HowitzerRacing decals on a wet track. Maserati Pencil Racer Concept with full HowitzerRacing decal kit. Anarchy and poetry, method to madness, raw power and a blissfull ignorance of possible impending doom. 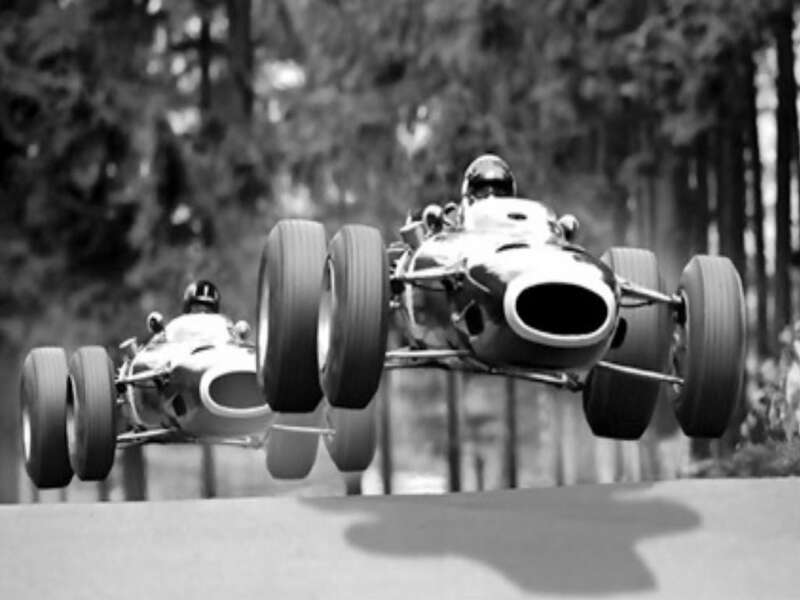 These images comes to mind when paging through the racing history books, seeing race cars being pushed to the limits of both machine and driver. Very few things must be that invigorating, adrenaline pumping in your ears, heart beating outside your chest, sweat on your brow, fingers tingling with excitement. This is the inspiration behind the Maserati Pencil Racer Concept. Ek laaik die rpm capabilities, dis mos nou hoe die specs van ‘n kar met ‘n bike engine moet lyk! baie hot bra. Wanneer bou ons hom? Ek bring my jigsaw.